Below is a collection of frequently asked questions. If you have a question that isn’t answered, please contact me. Where do your services take place? Anywhere! Focus Intent can travel to your location or meeting/resort facility and offer programs that can be tailored to groups of all ages. Although West Virginia is our home service area (and an amazing retreat destination), we happily travel near and far. If you’re coming to the New River Gorge, we can assist you in your group’s itinerary development. Do services take place indoors or out? 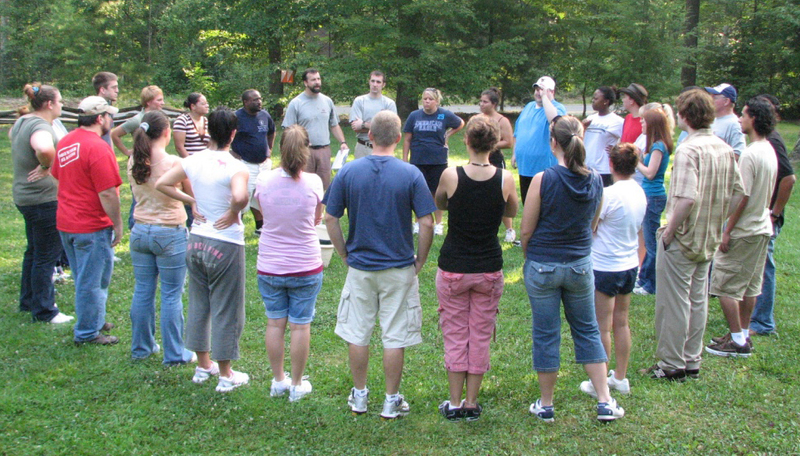 We strive to get folks outside as much as possible…if just for a short activity or icebreaker. That said the majority of our programs can take place indoors or out or a combination of the two. Obviously, our Team Hike and Team Orienteering Challenge take place outdoors, rain or shine. How large of a group can you facilitate? Focus Intent works with groups as small as five, and we have no size cap. Group size is only limited by the venue/location choice. How long is a typical program/seminar? Typical team programs last three-and-a-half hours to a full day, but we are flexible to your needs. Services fees are determined after an assessment of your intentions, determining the logistics of the program, and number of participants. We never want to be in the position where cost is the deciding factor, and will work with you to ensure we customize a program that’s within your budget. Our more physical services require participants to sign a limited liability form. You did a wonderful job. Your preparation and eye for details was excellent. As the director of emergency services said “it was the best I have taken part in”. Pat yourself on the back!